Vacant rental properties can certainly be compared to a migraine headache. A pounding headache that will only be cured by one remedy- a paying tenant. Hazard insurance, mortgage payments, property taxes, utilities, break-ins, vandalism, maintenance, and landscaping are many of the costs associated with vacant rental properties. Reducing your vacancy rates to a bare minimum is extremely important, if you intend to have a successful real estate investing career. Obviously certain areas are better for investing then others for a variety of reasons; research the neighborhoods you are considering investment. currently an oversupply of other rentals nearby, and what current market rents are in the area. Rental properties located in areas where there happens to be a lot of foot traffic are often easier to rent then that of a hidden property. A crucial element in keeping your rental occupied is that of visibility and location. 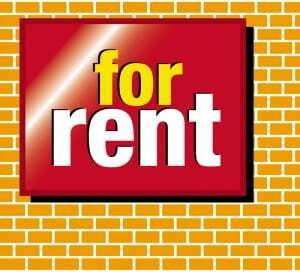 If your tenant plans to move, and your property is located in an area where it’s highly noticeable, often prospective tenants will see the “For Rent” sign and call to inquire without any further advertising required. Additionally, these applicants are already familiar with the area and exterior of the property, and like them both enough to call you. The day your tenants vacate is the very same day your handyman/contractors should assess repairs and then begin refreshing your rental property. Every day that passes while your contractor “gets around to it” will cost you money; the clock is ticking and the bills piling up on your vacant investment. Pricing your rental unit properly is key; “guesstimating” what the market will bear is not advised. You must know exactly how to price your investment so that you are maximizing on both your return and maintaining a competitive price. We suggest not only researching similar local rents, but touring other rental properties in your direct area and speaking with local property experts. When advertising your rental property you must think outside the box, and outside of the advertising that reaches you. You must consider where your rental is located and what types of editorials/media outlets your possible tenants may read. For example, the internet – you use it, but your potential tenants may not even have a computer. If your rental property is located in an area where English may not be the first language, consider using another. Longer term rentals will be vacant less often, as their turnover rate is inherently lower. Additionally, the longer tenants reside in a property, the deeper their roots grow. Incentives can work wonders: for example, offering a reduced rate for a two year rental or lowered utility bills, possibly free cable. Remember, maintaining filled rental units is the goal, and it tends cost far less to offer an incentive than it does to carry a vacant rental unit month after month; incentives work! There are many advantages to marketing your rental property as rent- to -own. As home ownership is ideal for many, and offering this option will most likely attract a higher caliber tenant. Additionally, your rent-to-own tenants will have a very high incentive to pay the rent on time- maintaining their credit score and the eligibility to purchase. Rent-to-own tenants are more invested in the rental and will treat the property with respect. And last but not least, you can sell the property without paying a real estate agent’s commission! Fill Your Rental Vacancies Immediately Start advertising, print out a stack of rental applications, and remember the big picture: minimize vacancies and maximize the quality of your tenants, and you’ll be well on your way towards a profitable rental business!